Ok, so I am really behind on my blogging! I didn't mean to disappear for so long. 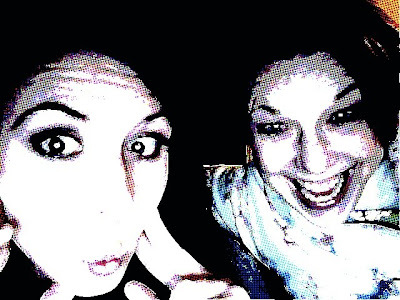 But I do have a lot of fun things to blog about that happened these past few weeks. :) So lets get started. Do you remember the Big 12 Championship that happened a few weeks ago? Well, that is the time period of these next two blogs. Ryan was offered some tickets to see the whole tournament through work but it was still considered work since he would be entertaining customers there. Lucky man! Since the Championship was held in my home town of Kansas City, I couldn't get left behind. I was able to fly out early Thursday morning and my mom picked me up from the airport. She was able to get half the day off, and we spent it shopping around at really neat stores. I will have to show you later something that I picked up that is really cool! 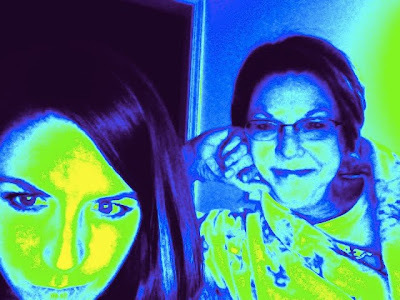 It was great to spend the day with my mom and just hang out with really nothing to do. So nice. Really Sasha? This is how you greet me?! Scaredy cat! Friday morning Ryan & I woke up early to meet his mom, Susan, and grandpa, Patrick, downtown for a brunch. My mom had to work so she wasn't able to join in on the fun. 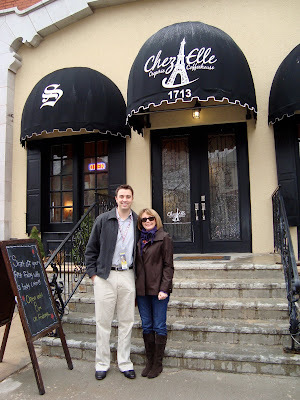 Susan wanted to try out this restaurant called Chez Elle. It's in an old movie theater and serves all kinds of crepes. The inside was so quaint and was exploding with personality. I loved it! My mom had asked that I pick her up from work and come in to say "hi" to some of her coworkers. My mom is a Cardiac Registered Nurse (RN) at the Olathe Medical Center. She actually got her RN here in Texas up in Denton, Texas Women's University. This is one of the doctor's she works with. I think he's one of her favorites. When we got home I presented my mom with a little gift from Susan. She had brought my mom some fresh eggs from her chickens back at the farm. 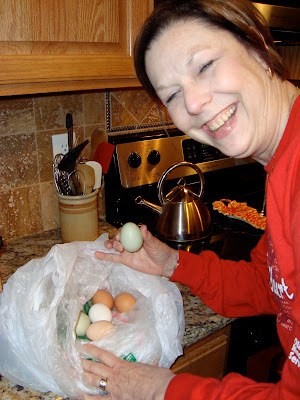 My mom was shocked that eggs came in so many different colors, but she was thrilled to use fresh, straight from the chicken, eggs. Don't you think Michelle & her hubby, David, make such a hansom couple?? 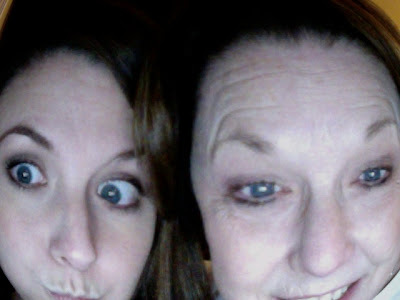 Here are some fun pics of my mom and I playing with my new computer. Mom, you are such a sport! Stay tuned for the final post on Kansas City fun! My mom's an RN too and she LOVES when I come in to her work and surprise her. I think she just likes showing her daughters off to co-workers. Looks like you guys have been having fun! you two travel more than anyone I know!! I wish I could travel that much!! You guys always look like you have such a great time! Love the pics! 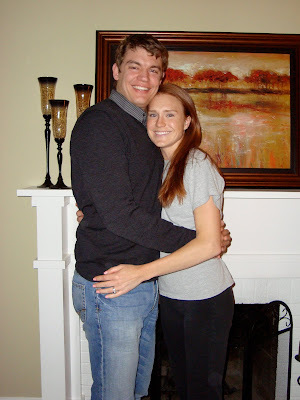 small world, I attended TWU for two semesters and had Jackson at Olathe medical center! I also love nutella but know it is bad for me so I limit myself to one jar a year! Okay, I had to laugh. I had to read your log to find out about a new restaurant called Chez Elle. So is it worth me driving there and trying out some food?? ?